In the not so distance future, a robot activated by a decent cup of coffee. Have you read about it yet? if you haven’t, then you can read a paragraph about it bellow. A well brewed coffee got energy and we all understand that, but not until a few years after someone will actually invent a system with a capability to ignite robotic system. 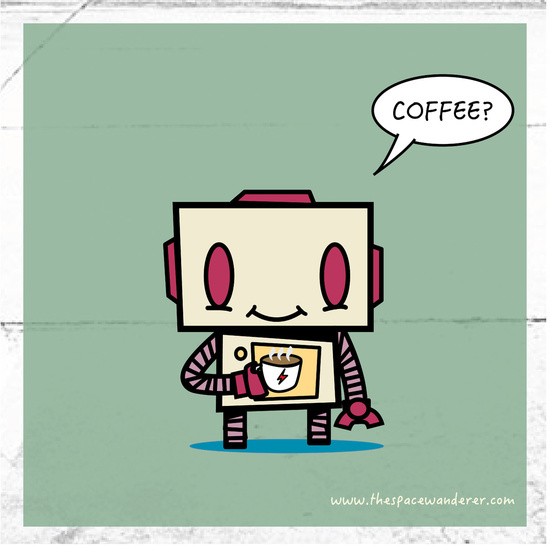 For now, just prepare yourself to greet a fellow robot on the coffee corner.